"Most people really misunderstand what hospice is," said DeeDee Sanyi, manager of VNA of Ohio's hospice program. Physicians refer their terminally ill patients to hospice when curative treatment options no longer offer a hope for recovery. The goal of hospice care is to improve the patient's quality of life by providing comfort, while controlling pain and symptoms. But, Sanyi said, there seems to be a misconception that entering hospice will hasten a patient's death. In fact, the opposite often is true. "I have seen many patients live longer than initially expected once they enter hospice. Their symptoms are managed and they feel better," Sanyi said. "Often, the treatment can be worse than the disease. When treatment is stopped, people often improve." She offered the example of a patient who was in end-stage congestive heart failure. He was in pain and had very poor quality of life. After entering hospice, he was able to receive comfort care to reduce his pain and manage his symptoms. The improvement in his physical condition helped with his state of mind, and his life changed. "When we admitted him, we thought he had a couple of weeks," Sanyi said. "He was on our program for 15 months. When he had good days, he was able to go fishing with his son and to lunch with his wife, two things he really enjoyed doing but couldn't because he had been suffering." Case management by a registered nurse, who works with the patient's physician to determine what resources are needed to ensure the patient's comfort. All medications related to the terminal diagnosis. All supplies necessary to care for the hospice patient in a home setting, from adult undergarments to a hospital bed. A team of healthcare professionals -- including physical therapists, occupational therapists and speech therapists -- to provide symptom management. Support services, including art and music therapy as well as massage therapy. Regular visits by a home care aide to assist with the activities of daily living. Social workers to support the family and provide connections to the community resources. Chaplain services to provide spiritual care. A corps of volunteers to help with respite care for primary caregivers. "Families always say, 'I wish we had started this sooner'," Sanyi said. "They learn that the focus of hospice is not on dying, it's about living with dignity and making the time the individual has left the best it can be." 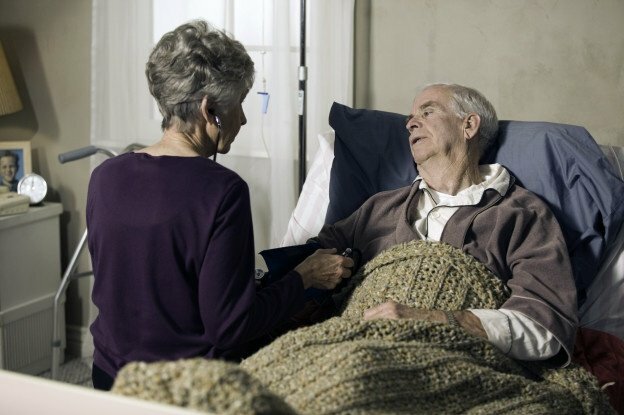 For those who have been diagnosed with a terminal illness, VNA of Ohio delivers hospice and special care services to meet the individualistic needs of each patient and family. To discuss eligibility and potential services, call to speak with a VNA of Ohio Intake nurse today. Learn more about VNA of Ohio hospice care or call us today at 1-877-698-6264.